Product prices and availability are accurate as of 2019-04-21 22:57:36 UTC and are subject to change. Any price and availability information displayed on http://www.amazon.com/ at the time of purchase will apply to the purchase of this product. 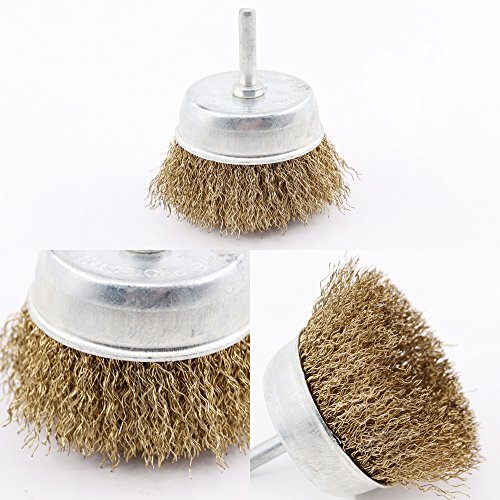 1pc × Knotted Steel Wire Cup Brush. 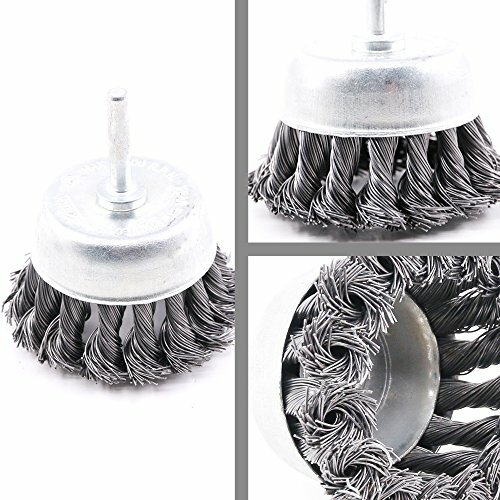 1pc ×Carbon Knot Wire End Brush.
? 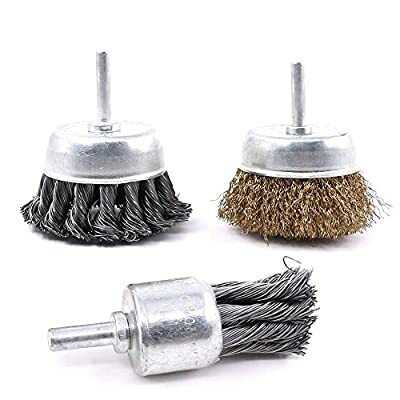 WHAT YOU GET --- 1pc Brass Plated Crimped Wire Cup Brush AND 1pc Knotted Steel Wire Cup Brush and 1pc Carbon Knot Wire End BrushIdeal for removal of rust, corrosion and paint. 1/4"" shank fits all drills. 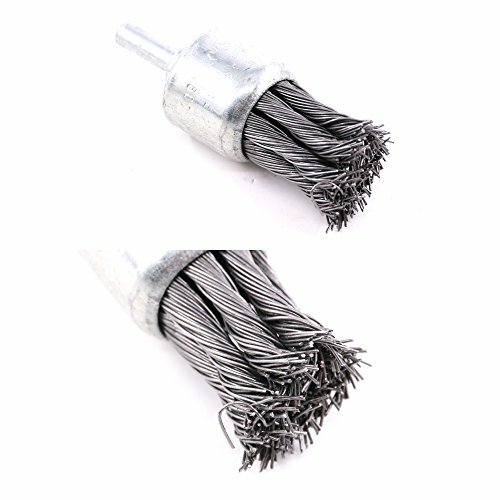 Hardened steel wire for reduced wire breakage & long life. Maximum 4500 RPM. ? 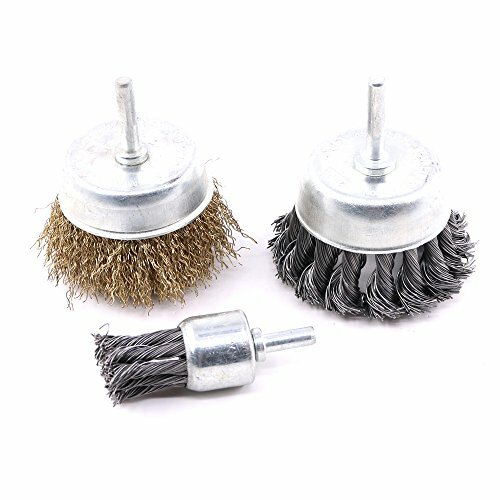 HIGH QUALITY --- Swpeet offers the finest quality Knot Wire Cup Brushes and brass plated crimped wire cup brush to give you l ? 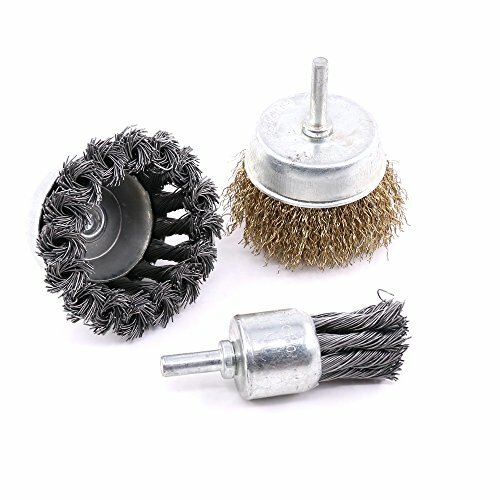 APPLICATION WIDELY --- Wire brushes are used to remove rust paint and weld spatter on all types of metal parts or surfaces. Is Suitable for multiple uses. Keep one in your car, garage, office and kitchen. With 100% satisfaction. ? DESIGN REASONABLE --- Designed for easy access into narrow holes and confined areas. Crimped style for light to medium duty applications, Removes rust, scale and paint in hard to reach areas. ? SUIT MOST TYPES OF DRILL --- 1/4-Inch hex quick change shanks are use in all Types of drills and die grinders to meet your immediate needs and your needs in the future.